Dioxazine Violet is transparent and has very high tinting strength. 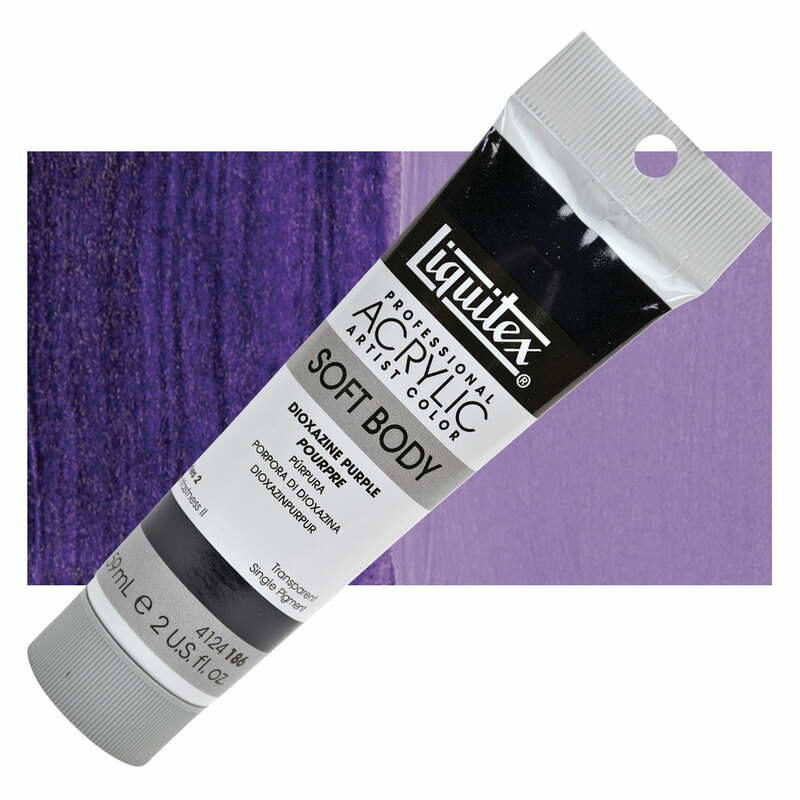 It is a staining pigment, very dark valued when it is used at full strength. Concentrated, it paints out nearly black, but it mixes with Titanium White to form bright, opaque tints of purple. Pigment PV23 produces slightly redder shades than PV37. Because the hue can vary with the conditions of preparation and grinding, it may be offered in red shade, blue shade, and so forth. PR23RS is a preparation of PV23 that tends to reddish hue.